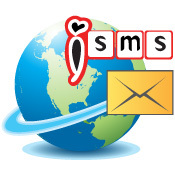 iSMS Malaysia Online SMS Marketing Android Apps. Lowest price & most reliable Bulk SMS marketing tool. 2 way sms Malaysia, Bulk SMS, bulk sms Malaysia, bulk sms Singapore, online sms solution, web sms marketing. Using Bulk SMS Malaysia, you can launch your online SMS marketing campaign directly from your Android mobile phone. 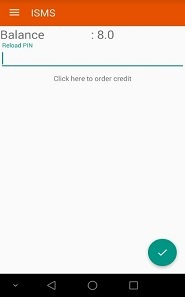 iSMS Malaysia has deployed an updated version of the SMS API Keys for this Android App. Thus, creating an efficient Bulk SMS application with pleasant user experience. Our SMS Marketing Malaysia Android app is capable to send SMS to mobile operators worldwide. 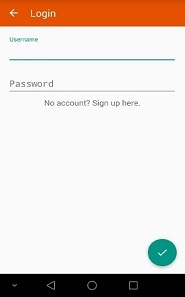 Just register for a FREE account HERE and you can send SMS to Singapore, Malaysia, Brunei, Indonesia, China and many more countries via your Android mobile phone. Import all of your customer contacts into the Bulk SMS Malaysia address book and send thousands of SMS directly at a touch of your finger on your Android mobile's screen. 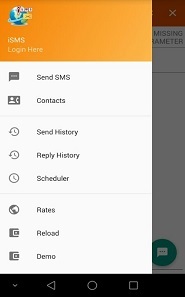 All of your sent SMS will be marked with 5 statuses (sent, delivered, undelivered, pending, failed). Our Bulk SMS Malaysia Android app also supports Unicode, Ascii, long messages and etc. Bulk SMS Malaysia credit package is sold separately from your mobile phone operators. Extremely easy to reload your sms credits into your user account. We offer you the lowest priced credits and the most reliable Bulk SMS Marketing Tool you can find. 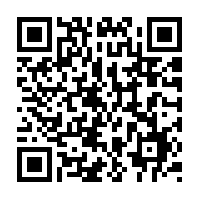 Please click on of the buttons for more information on how to use iSMS Android App and how to install it.